Do you despair of ever being able to fulfill your creative potential? Are you kept awake at night by brilliant ideas (which don’t seem quite so brilliant in the morning)? Are you paranoid about people stealing your ideas? Are you the most interesting person you know? Does your life seem like a continuous cycle of depression, revelation, hangover, depression? Do you swing between thinking you’re Picasso one minute and a talentless fraud the next? Do you ever get the feeling that you’re heading headlong into a future of obscurity, impoverishment and old age? Do you long to be diagnosed with something so you that you can legitimately feel sorry for yourself? Do you address your muse by name? Do you consider yourself avant-garde? Are you afraid you might be going mad? If you answered ‘yes’ to most of those questions then help is at hand. 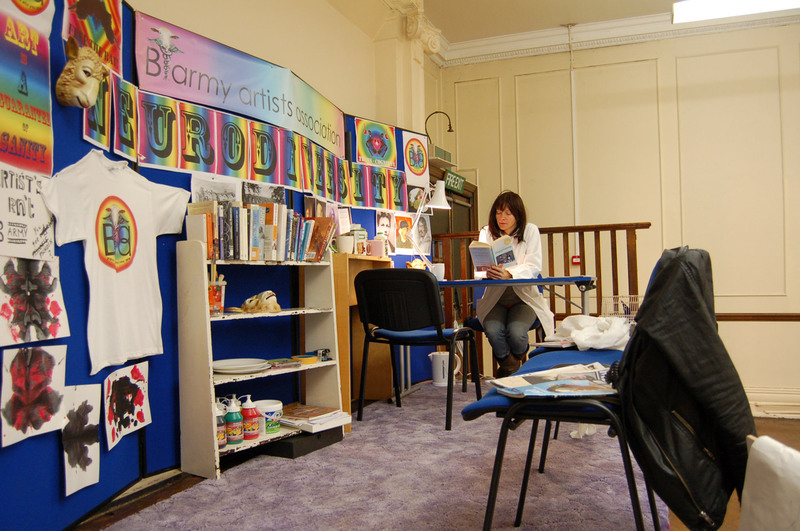 You’re entitled to free membership benefits, a cup of tea and a sympathetic ear down at the Barmy artists association (Baa for short) drop-in clinic in the main gallery at Barmy Park. Being an artist can be a lonely, fearful and frequently desperate existence. Living in a high-tech, hyper-consumer society can intensify this sense of isolation. In fact, you could say it’s a sickness, just as being in love is a form of madness. We are driven to create but that often means living on the fringes of society, on the edge of sanity. We rage against common sense. 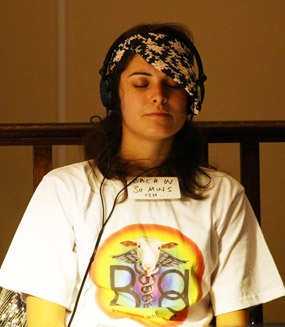 Creative unblocking exercises through meditation and sensory deprivation. Free membership, stickers ‘Baa! You know who you are’ and happy pills. 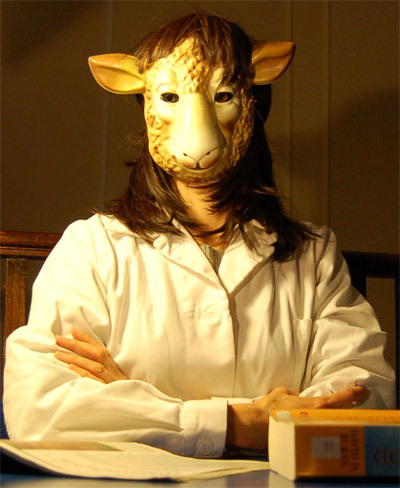 Dr Omiko Imotoko has 12 years experience as a barmy artist. She operates on a non-hierarchical basis and often invites patients to reverse the role of doctor and patient. Her philosophy is that artists can achieve long-lasting satisfaction in their creative life and happiness in their personal lives if they recognize their ego for what it is. She believes that creativity is divine inspiration and should not be shackled to the attainment of personal success. She encourages artists to get themselves a higher power or their own, personal muse. Dr Imotoko is regularly in touch with her own higher power, Brigantia or Bridhid, the pagan goddess. 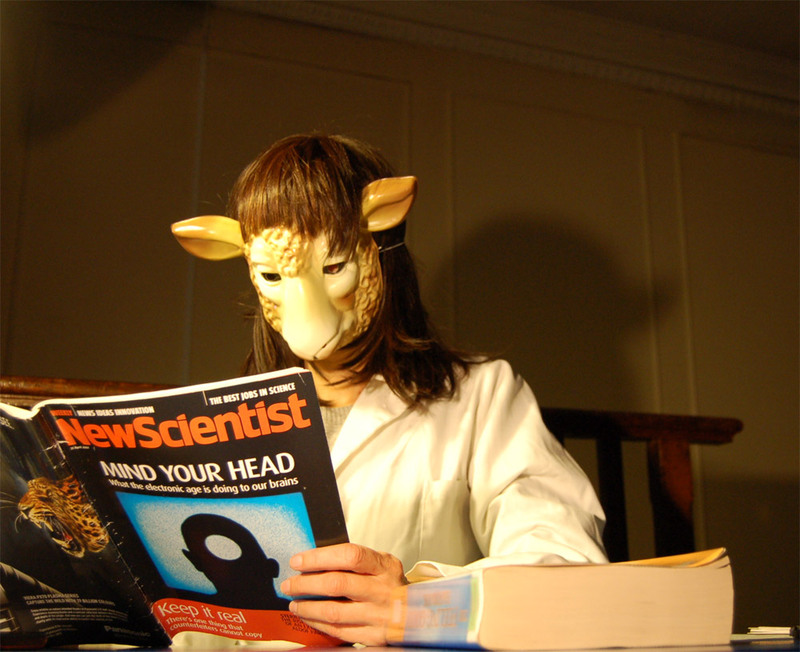 Emma-Louise Boulding is a PsychicArtist and Remote Viewing expert who has developed unique new form of futurology, ArtTarot reading, for Barmy Park. Emma-Louise trained as an artist and in 2008 went to work for the London College of Spirituality as an event organiser and workshop facilitator. Whilst working for the college she regularly attended their psychic development and channeling classes, inducing an upsurge in her psychic abilities and precognitive dreaming. 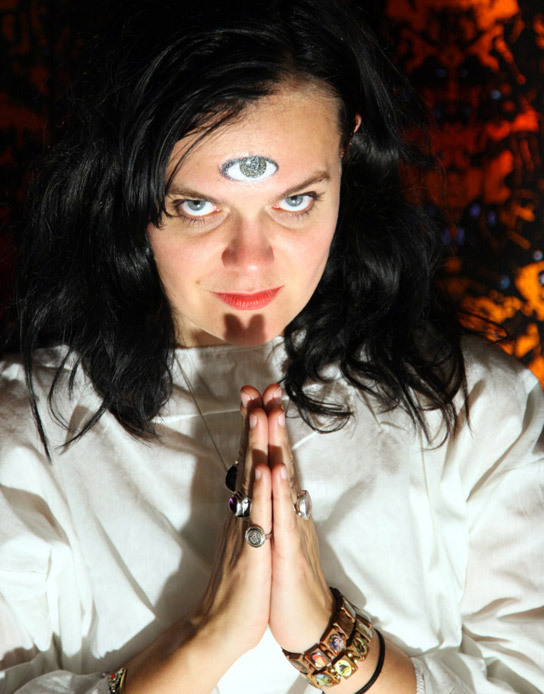 Witch Dr Genie is a storyteller, performer and healer who practices Mantra, Yantra and Tantra. She is a pioneer of Ping’s Magic GongWash® therapy and prescribes shamanic herbs to Smudge Away Your Fears®. She is available for one 2 one sessions and group workshops to set your spirit free.